The road to Acrylic has been eventful for Leikeli47, who's only seen her profile further elevate over the past year. She's notched several appearances on the soundtrack for HBO's Insecure , most recently with Acrylic 's snappy, infectious single "Girl Blunt"; the release of her debut album, last year's Wash & Set , spread the word about her considerable talents and led to the type of opportunities — performing for Natalie Portman, appearing with Lion Babe at Coachella , and having her innagural ArfroPunk performance — that up - and - c oming artists only dream of. There's been so many new opportunities," she reminisces. "It's been a really cool time, and I'm still taking it in. I've been in the studio discovering new sounds. Creatively, it's been a fun ride." The second album in a plann ed trilogy kicked off by Wash & Set , Acrylic was recorded over the last year in Los Angeles — a casual creative process meant to let ideas flourish naturally. 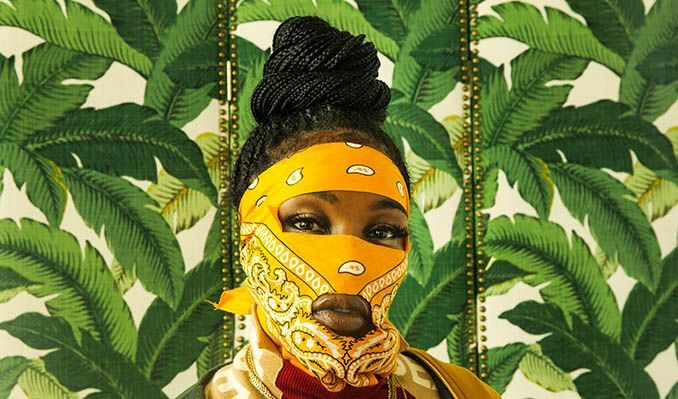 "As an artist, you want to go in and add new conversations and ideas ,” Leikeli47 explains. “ Most of these ideas started in my apartment, or just from walking down the street. Great things happen when you live in the moment ." Co - producers ranging from Clyde & Harry (Ludacris, Ghostface Killah) to Dave Hamelin (The Belle Game, Sam Roberts Band) pitched in duri ng the creative process, as well as Michael Barney (One of Leikeli’s right hands and production partner) and Hardcover CEO and frequent collaborator Harold Lilly (Alicia Keys , Beyoncé, Zayn Malik ), who also happens to be Leikeli47's cousin. "He's one of th e main people I look to when it comes to being an artist," she gushes. " He’s a true drill sergeant, but I’m used to it. He requires nothing less than great and above. His motto is “Chop wood, carry water , ” like the Joshua Medcalf book. The people around you should want the best for you and he definitely does. He and Michael made sure I stayed on point during the recording process. " And that's the overriding message behind Acrylic : come together and have some fun, regardless of who you are. I'm all about letting people in — I love putting my message in music," Leikeli47 explains when talking about her artistic mission statement. "It's a great way to engage people and get them talking to each other. A lot of the time we don't know how our worlds relate because we barely talk to each other. We take stuff too seriously — it's time to have fun and be part of a melting pot of individuals." Leikeli47 wants to bring the world together as one, and through Acrylic , her message as infectious as ever.